New research suggest patients who take a class of drugs for type 2 diabetes are 28 per cent less likely to develop Parkinson's disease. A class of drugs used to treat Type 2 diabetes may offer protection against Parkinson's disease, research suggests. 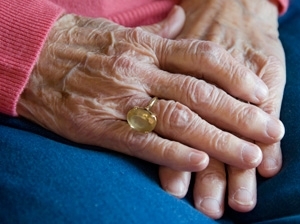 Diabetes patients taking glitazone drugs had a 28 per cent lower incidence of Parkinson's than those who had never received the treatments, a study found. The two medicines studied were rosiglitazone and pioglitazone. Glitazone drugs activate a biological pathway that reduces insulin resistance, the failure of the body to respond to the blood sugar-regulating hormone insulin. One element of the pathway, a cellular receptor molecule known as PPAR gamma that triggers a reaction to certain chemicals, has many functions not well understood in humans. Lead scientist Dr Ian Douglas, from the London School of Hygiene & Tropical Medicine, said: "We often hear about negative side effects associated with medications, but sometimes there can also be unintended beneficial effects. "Our findings provide unique evidence that we hope will drive further investigation into potential drug treatments for Parkinson's disease. It's thought that around one in 500 people are affected by Parkinson's, and to date no effective treatments have been found to directly tackle the neurodegenerative aspect of the disease." The study, funded by the Michael J Fox Foundation for Parkinson's Research, looked at more than 160,000 diabetes patients in the UK whose health records were accessed. Researchers compared 44,597 glitazone users with 120,373 patients using other anti-diabetic drugs. Glitazones were introduced in 1999. The new findings, reported in the online journal Public Library of Science Medicine, showed that between that year and 2013, patients taking the medicines were 28 per cent less likely to develop Parkinson's disease. Dr Ruth Brauer, another member of the London School of Hygiene & Tropical Medicine team, said: "Our results suggest that treatments which activate the PPAR gamma receptor in the same way as glitazones could be promising targets in future drug research. "Although our study only looked at people with diabetes, we believe it's likely that the protective effect of glitazones may also be seen in people without diabetes."